She displays a cool, reserved, and serious personality most of the time, but doesn't lack a humorous side. Noir is a righteous person who has respect for other people's lives, she treats everyone equally and strongly despises those who judge and discriminate based on racial prejudice. Noir is also an open person and is not afraid to speak her mind. She can be a little introvert and most likely to spend her time reading a book. She rarely loses temper but when are provoked, she will go all out and causing her eyes become red causing her to speak her mind in the heat of the moment and even go as far as attacking that poor person. She tends to not easily trust someone very quick, but when someone gains her trust, then Noir will defend you by all means. Noir are a little stoic because of the hardships from the past, but she can be friendly and caring when she wants to. She may displays a dry wit, stating the obvious or pointing out details in a sarcastic manner, at the expense of other people if needed but she tried to hold it inside her as she knew that it will only attract unwanted things around her. Apparently Noir showed a rather different side of her if she is drunk. Books ~ Noir is very fond of reading since it was her only source of knowledge at the past, the library inside her house was also contain a lot of stuff that teach her basically anything she wants to know and let her imagination flows. Cooking ~ She also has a interest in cooking because she only remembered eating bad food when she was enslaved and cooking was also the first thing her guardian taught her, it made her feel alive for the first time for having a good food. Rats ~ it drives her crazy by they non stop squeaking sound and it reminds her of the time when she enslaved. Slavery ~ She also hates the slave system because she thought that it is very inhuman and disrespecting so many people, she believed that every people has to be free. Noir wishes for an equality for all people and races around the world. The aspiration occurs when she was kidnapped and being sold as a slave when she was a kid as she saw Fanalis and Immuchak Races being tortured the most by her own race, human. To achieve her aspiration, her first thought is to travel around the world and stop the slavery. She also wants to protect the people that she hold dear and in order to do that, she needs to get as much knowledge as she can and be stronger. The black haired girl used to be scared of rats, but the after meeting Dantalion in the dungeon, she overcame her fear. However, Noir was shown to constantly have the fear of seeing someone's death due to the recent events. Not like she is afraid of the death itself, but it is more like seeing someone that she know and she didn't wish to see them dead to actually laying on the ground, lifeless. She is scared of that and if it happened, she would blame herself as someone who was responsible for their death. 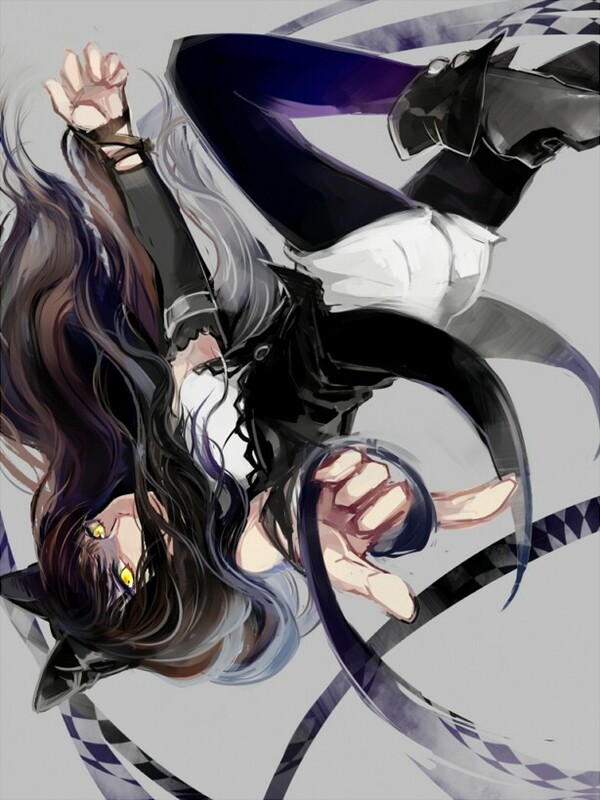 Noir has a wavy black hair and gold eyes, her eyes are slightly tilted upwards at the ends, giving her a somewhat catlike appearance. Her eyes can become red when she is going all out with her power. Her skin is fairly white and people always concerning about her health because she looked pale all the time though it is her natural skin color. She wears black low-heeled boots and stockings that start off black at her hips, but gradually fade to purple as they near her shoes. She wears black ribbons on both of her arms, with a black detached sleeve and a silver band on her left arm. Noir wears a black buttoned vest with coattails, and a white, sleeveless undershirt that exposes part of her midriff with white shorts that may be connected to her shirt. She also wears a detached scarf-like collar around her neck. Special Features: Noir has golden eyes that will change into red when something inside her is triggered by certain event/situation. When that happens and it is uncontrollable, Noir might have another "persona" taking over her body. Although usually if it is controllable, Noir would only be in the rage mode. Noir did not remember anything about her past except her name, she only remember being held as a slave and were forced to work nonstop by her trader. After many years being sold to different persons that treated her bad, she finally had enough and escaped when she was 15. She realized that the chain can’t be removed and everyone doesn’t has any courage to free her, then suddenly she remembered that someone told her about magic, that it only can be casted by using a wand or a staff. She quietly wandered on the street to find a wand, she knew that she has to steal it from someone, either she really can use magic or not. One night, while wandering in the forest, she found a house with no one inside, but there are food’s smell and warmth inside. Noir decided to enter the house sneakily and tried to take some food until she saw a beautiful long box, then she touched it and a light appeared from it. But suddenly an old man stopped her and grabbed the box, scolding her for trespassing and then stopped himself when he saw the chain. He thought of something for a couple of minutes, and then freed her from the chain and letting her go right away. Noir ran away as fast as she could, happy because the chain was already gone, but she stumbled and fell on the ground, exhausted. She was found unconscious by a woman and being taken care of until she woke up, when the woman asked her for her name, the woman recognized the family name and said Noir family's house is just right in the middle of the town. But she didn’t even let the woman finished her explanation and ran right away to the mentioned place only to find an empty house with a slight massacre hint on the house such as blood stain and messy room. The woman who chased her finally got to finish her words by explaining that the whole family was killed during a robbery night, and their only daughter was never found. Since then she was taken care by the same woman who saved her because the woman was afraid that Noir would have a mental breakdown if she stays at the house which Noir agreed after many plead from the woman. Noir always has interest in weaponry and magic, it might occur because of her ability to cast magic and her guardian’s job as a blacksmith. She really liked to read books too as she always went to her old home just to read the old books stored there, it gave her new knowledge and perspective about anything that she wanted to know and the whole years she spend on being a slave instead of studying or playing like the other child being paid off by reading books. She learn how to use naginata by herself and practiced her magic quietly until the woman catches her casting spell of magic and strike of lightning came from nowhere and destroyed a nearby tree. Apparently, Noir was visiting the old man from the forest and he gave her a wand, told her to give it a name and treasure it, then also taught her how to use magic. The woman, having some knowledge about magic then advised her to go to Magnostadt to enter the academy of magic. Noir thought that by entering the academy will make her stronger and give her some knowledge, thus, her adventure to become stronger begin. In her journey, she met a lot of people, each of them has their own uniqueness. There was some kind of impact from meeting those people, two person made her realize about how gruesome and sad the death could be and the recent event made her develop a fear to see someone that she didn't wish to die being dead in front of her. A person that she thought could teach her what she needed to know refused to see her anymore and changed into someone that Noir could no longer recognize although his appearance remained the same. Another person seemed to had changed as well in some part of his personality, but his belief was what made Noir worried about this man as she think of him as one of his dearest friend. Thus she knew, that people could change... as long as there was something that affecting the change, even the person that she thought would never change might change. Noir got an ancient power, a strength from a being called Djinn in the form of a beautiful golden staff (Divine Staff) after she entered a place called dungeon, a place that was full of wonder if she could say. Also, the girl had developed the interest to learn about Torran language and is now trying to gain as much knowledge as she could. However, the black haired girl thinks that she need to go back to Magnostadt for a bit to take this test in the academy so she could be the best among the best magician in Magnostadt. Although, she might do a little adventure with a red haired comrade whom she met in the country of sand before that. Noir sat on her bed, her “old” bed. She tried to remember the memories when she lived here, but nothing came on her mind, just blank. She tried to felt the warmth from the house, but she couldn’t. She grab the picture beside the bed that was placed on the table beside and she saw a woman, a man, and two child, one boy and another one is girl. The girl looks so much like her, black hair, slightly wavy and she has gold-colored eyes as well. The woman in the picture has the same traits as her as well. She wondered how it will be if they are still alive and found her back home with no memories. She started to miss them, miss the stranger that she don’t recognized. Description: Her thirst for as much knowledge as possible has driven her to become a researcher. She would mostly interested in any kind of knowledge, especially magic themed or about Alma Torran history as well as its language. Bright Thinker – Noir is able to figure out some complicated/ancient magic formula faster than normal because of the knowledge she had and some research that she conducted. Eidetic Memory – By doing some training to enhance her sight and memory back, Noir is able to recall visual information in a great detail after only seeing it briefly that will help her in doing her research. [b]Description:[/b] Using Life Magic, Noir produces a 30cm diameter healing sphere by using her staff/wand and control it to approach the target of choice in 1m radius. The sphere is capable to heal D-tier damage. [b]Description:[/b] Using water magic, Noir cast small amount of snowfall that will discharge in a 2 meters area up to 5 meters away. Anything the snowfall touches is covered by thin layer of ice numbing the target and slowing their movement for 1 post. [b]Description:[/b] Using lightning magic, the user produces a static energy and it will discharge in a 2 meters area up to 5 meters away from the user, dealing D-Tier damage. [b]Description:[/b] A magician lowers the influence of gravity around their body by using Strength Magic. This gives them the ability to lift off, hover, and soar through the sky up to 10m. They can control the force of gravity around their body at any given moment, able to slow down, speed up, or stop flying completely. [b]Description:[/b] A magician lowers the influence of gravity in a 3 meter area around their body by using Strength Magic. This gives anyone in the area the ability to lift off, hover, and soar through the sky up to 10m. The user can control the force of gravity around their body at any given moment, able to slow down, speed up, or stop flying completely. [b]Description:[/b] Using Lava magic, the user stabs their wand into the ground, forming cracks which will spread up to 10 meters away. Where the crack stop a 3m diameter pool of lava bubbles up and this pool of lava is capable to deal C-tier burning damage. This magic sets targets on fire at points of contact burning them for D-tier damage once per post of three posts unless the flames are extinguished. [b]Description:[/b] Using Meteor Magic, Noir is able to create two 2 meters in diameter meteor balls out of dust and dirt nearby. These meteors are sent flying up into the air. During the next post, the meteors will fall somewhere within 10 meters around the user and will inflict D-tier damage each if hits. On impact, all meteors create a 1m explosion of debris that does an additional D-tier damage. [b]Description:[/b] Using lightning magic, the user produces 2 small shards of electricity which is 2 meters long and .2 meters in diameter that will travel up to 10 meters away. The shards will inflicts C-tier shocking damage on impact while each will inflicts D-tier damage. [b]Description:[/b] Using lightning magic, Noir casts 2 black lightning strikes, which are 5 meters long and .4 meters in diameter, each will inflict D-Tier damage to the opponent within 10 meters from the user if hits. [b]Description:[/b] Using Life Magic, the user creates a whip shaped thorny vine around the wand/staff which is 5 meters long and 10 centimeters in diameter to inflict C-Tier damage on impact when the target being hit by the whip directly. [b]Description:[/b] Using Sound magic, Noir can produce a 1-5 meters cone shaped sound wave that sounds like a screech. The spell will be cast by the user in a small range starting from 1 meter and it will become larger up to 5 meters. The sound wave will travel up to 7 meters away from the user and deal C-tier damage for anyone who heard the ear piercing screech or get caught in the sound vibration. [b]Description:[/b] Using volt stream magic, the user creates a 2 meters icy wall, filled with water that is infused by lightning. The wall defends up to D-tier damage and upon taking damage bursts open. The lightning infused water sprays out in a 1 meter fan, dealing D-tier damage. Those struck by it would have one limb paralyzed for 2 posts and their movement speed reduced. [b]Description:[/b] Using crystal magic, Noir could create up to 3 meters diameter crystal dome around her that can be used to deflect any kind of attack. The crystal dome’s size can be chosen from 1 to 3 meters diameter, based on what size the user wants to create. This dome can protect anything inside from B-tier attack and is immune to light magic because it is capable to reflect it. [b]Description:[/b] Using life magic, Noir could create four 10cm in diameter and 15cm wide sharp thorny cones that could travel up to 15 meters away. Each of the cone will deal D-tier damage. [b]Requirements/Drawbacks:[/b] Noir needs to point her wand/staff upwards. This spell causes clouds to form overhead the target a moment prior to attacking. [b]Description:[/b] Using lightning magic, the caster will form a cloud that will float overhead the target before a 1 cm in diameter and 15 meters long lightning strike that descend downwards to the target up to 15 meters away, inflicting B-Tier damage. [b]Description:[/b] Using volt stream magic, The user would produce four 10cm diameter balls of water which was infused with electricity. The user can control the travel path freely as it would travel at up to 15 meters away and deal total B-tier damage if all hit. Those struck by it would have one limb paralyzed for 2 posts and their movement speed reduced. [b]Requirements/Drawbacks:[/b] Need to hold her staff/wand and say the type of weapon that she wants to create from the ice, if she wants to make it burst, she needs to chant “scoppiare”. [b]Description:[/b] Using volt stream magic, Noir could create any type of melee weapon by using the sturdy ice that is filled with water infused with lightning. This melee weapon could deal B-tier damage and Noir could break the ice anytime at will to make the water burst from inside, making those who got hit by the lightning water have one limb paralyzed for 2 posts and their movement speed reduced. The weapon will dissolve into a gas if it is broken because of B-tier attack before Noir break the ice by her own will. [b]Description:[/b] Using Lava magic, Noir produce lava from her wand/staff to create a 1m wide and 2m tall hound-shaped that can be controlled to dash towards the target up to 15 meters away from Noir and bites them, dealing B-tier damage. This magic sets targets on fire at points of contact burning them for D-tier damage once per post of three posts unless the flames are extinguished. [b]Description:[/b] Using strength magic, Noir is able to create 4 sword-shaped blurry waves. 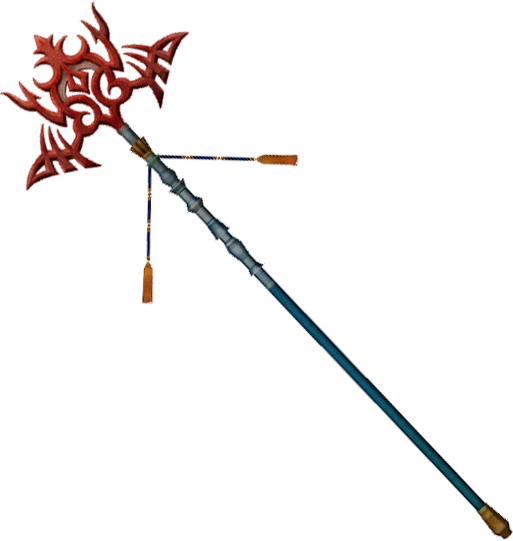 This “swords” are capable to travel up to 15 meters away from the user and each will inflict D-tier damage if it hits. [b]Description:[/b] Using meteor magic, Noir will point her staff to the targeted area and summons four 1 meter in diameter meteors by using dust and dirt around her. The meteor balls will appear around the girl and ready to be launched towards the target. The meteors are capable to deal D-tier damage each and travel up to 15 meters away from Noir. On impact, all meteors create a 1m explosion of debris that does an additional D-tier damage. [b]Requirements/Drawbacks:[/b] Needs to have water sources nearby, water left from another water type magic could be used to create this magic as well. Needs to point wand/staff towards the target. If she wants to make it burst, she needs to chant “scoppiare”. [b]Description:[/b] Using cavitation magic, Noir created 4 balls of water that will appear around her before travelling up to 15 meters away. These balls of water will burst by Noir’s command and will deal total B-tier damage because of the impact damage from the shockwave and burning damage from the heat resulted from the cavitation. The shockwave is 3 meters in diameter and the bubble is 2 meters in diameter. Damage is always split as half burn damage and half blunt force damage. Victims are disorientated and dizzy for 1 post. [b]Description:[/b] Using Cymatic Magic, Noir creates a 20cm vibrating orb from the tip of her wand/staff. The vibrating orb will travel up to 15 meters away and will enter a life form that has water source inside the body before sending a resonant vibration that will affect a 20cm diameter area within the target’s body. The orb is capable to deal B-tier damage. [b]Description:[/b] Using Cymatic Magic, Noir create a vibrating water dragon from the tip of her wand/staff. The dragon will be 7m long and 1m wide, capable to travel up to 15 meters away from the user as well as capable to be controlled freely based on Noir’s will. Once the dragon discharged, the water beast will ‘swallow’ all the target within the area. Inside, the cymatic magic will cause B-tier damage vibrations to everything the dragon has swallowed. [b]Description:[/b] Using dehydration magic, Noir create a cone shaped vapor that would emit from the tip of her wand/staff. The cone will start from 1m to 5m wide and able to travel up to 10m away from the conjurer. This magic will inflict an immense heat, burning the skin of the enemies that is within the radius and make them will dehydrated, inflicting B-tier damage. [b]Description:[/b] Using dehydration magic, Noir create a vapor wave that is 5m wide. The wave could travel up to 15m away from the user and anyone who got touched by the wave will be experiencing an extreme dehydration, causing them to hallucinate for 4 posts. While being hallucinated, the person won’t be able to see their surrounding and defenseless. [b]Description:[/b] Using steam magic, Noir creates a wave of steam that is 5m wide and can travel up to 15m away. This steam magic could inflict a burn on the target’s skin, dealing B-tier damage. A 5 meter diameter cloud of cool steam will remain in the area of the spell for a single post, impeding vision. [b]Description:[/b] Using Dry ice magic, Noir draw circle by using her wand/staff and conjures 4 bullet-shaped dry ice. The bullets could travel up to 15m away and has 10cm diameter, inflicting B-tier damage if all hits. The Dry Ice spells cause a mist to cover an area of 1 meter, obscuring vision for a minimum of 3 posts. [b]Description:[/b] Using Flux State, Living Water magic, Noir points her staff at the chosen area and create a water dragon that is 1m wide and 5m long. This water dragon will follow Noir’s command even though the main objective is to protect the summoner, the dragon is capable to deal B-tier damage when it commence an attack. Without a verbal command, their primary objective is the protection of their master. The constructs suffer from elemental weaknesses of double damage from lightning(in water state) or fire(in ice state) but also gain elemental strengths only taking half damage from heat/fire based magics such as lava or crystal magic. [b]Description:[/b] Using plague magic, Noir draws circle with her staff/wand and creates 4 arrow-shaped plague. The arrow is 2cm thick and 30cm long, capable to travel up to 15m away. This magic could inflict a severe disease to the target’s body, dealing B-tier damage in the form of stomachache. Those affected by plague magic will suffer from vomiting and cramps once a post for a minimum of three posts. [b]Description:[/b] Using acid magic, Noir creates 4 1m acid balls that will travel up to 15m away from Noir. The ball will burst upon contact and deal B-tier burning damage if all hit. One of the ball could deal D-tier burning damage. This spell will give additional D-tier burning damage. [b]Description:[/b] Using lava magic, Noir produce lava from her staff/wand to shape like a quarter sphere. The sphere size would be up to 1m - 3m depends on what the user want and it will protect anyone who is behind the sphere from B-tier attack. Scaling this ability will make Noir available to add more layers in front of the sphere. If the enemy touches the wall, it will sets them on fire at points of contact burning them for D-tier damage once per post of three posts unless the flames are extinguished. [*]By stabbing her staff and commanding the rukh, the user will be able to spread 5m in diameter slippery ice towards her desired place that is located up to 10m away from her. Anyone who tries to run on the ice, will slip due to the slippery surface. [*]By using light magic, the user will be able to shift the light by commanding the rukh to make her and anyone/anything within 1m around her to be invisible. The effect will last for 3 posts unless scaled or sustained. [b]Description:[/b] Using cymatic magic, Noir creates up to 1m vibrating orb from the tip of her wand/staff. The vibrating orb will travel up to 20 meters away and will enter a life form that has water source inside the body before sending a resonant vibration that will affect a 1m diameter area within the target’s body. A-tier damage will be dealt as the vibration internally shattering bones and organs. [b]Description:[/b] Using slime magic, the user will produce a slime wave that has 5 meters wide. The slime wave would first surround the user in circle shape before it began to split from behind her and start to pushes anything up to 10 meters from outward the user. 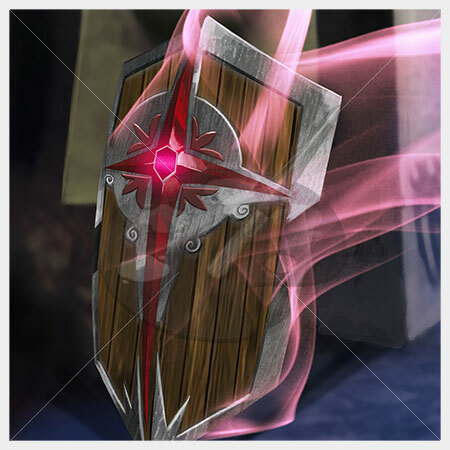 It would slowly becoming a straight wall, clumping the enemy into the middle of the life aura and the wall will slowly forming a circle forward, making the enemies inside for 3 posts in front of the user. It could be broken by A-tier ability. Slime magic is inherently sticky and requires strength equal to its tier to break free. All slime magic is also flammable and even D-tier sparks can cause an explosion equal to the slime's tier. [b]Description:[/b] Using destruction magic, Noir is able to create a small black sphere, 1 cm in diameter. This black sphere is created from a boiled water which was compressed with strength magic into an incredibly small size black sphere. The sphere will be launched up to 20m from Noir and will explode on contact, making an 8m rapid explosion the form of steam and force, dealing A-tier damage. It will send the victim flying backwards 1/4th the distance of its own blast radius as the side effect. 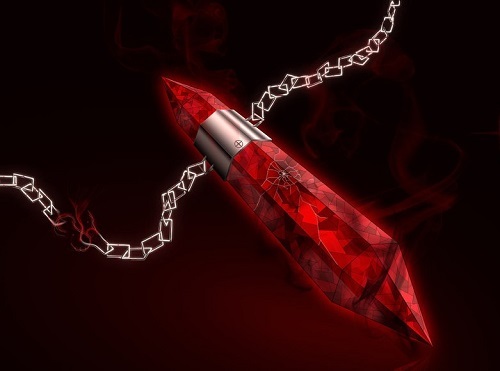 [b]Description:[/b] Using life magic, Noir would send a small shard of magoi which is 1 cm in diameter to invade into the target’s body who is up to 20m away from Noir. Once the magoi ball is inside, it will causing the natural microbes inside the body to grow and attacks target’s immunity system. This spell will cause organ failure and their body will be ruptured, causing A-tier damage. [b]Description:[/b] Haku need to get the command from the master in the form of whistle or certain gesture. Once the beast understand the command, he will leap on the assigned target and pressed his body weight on the enemy, dealing D-tier damage. [b]Description:[/b] Haku shoots 2 hot spit balls 1 meters in diameter that will travel up to 5 meters, dealing C-Tier damage to the target in the form of burns. [b]Description:[/b] Kuzunoha leaped towards the enemy and prepares her tiny but strong feet to land on one of the target’s limb, dealing C-tier damage. [b]Description:[/b] Haku prepared his claw and get close to the target, swinging his sharp claw on one of the target’s limb. The attack can deal C-tier damage. [b]Description:[/b] Haku pounces at a target within 1 meter and pins them, immobilizing 3 limbs from the target for 3 posts. [b]Description:[/b] Haku will increase his body temperature and fire a 3m firewall that will discharge within 15 meters, dealing B-tier damage to anyone caught within the firewall. [b]Description:[/b] Haku will block any incoming attack by using his hardened body up to 1 B-tier attack. [b]Description:[/b] Haku increased his body temperature, focusing the heat to his sharp teeth before biting the chosen enemy, dealing C-tier piercing damage. The fangs then spew flames into the bitten limb dealing C-tier burning damage. [b]Description:[/b] Haku will need to get close to his enemy then using his fangs to bite his enemy hard before pulling away, tearing the flesh of the enemy. This skill will deal B-tier damage. [b]Description:[/b] Haku will harden his body so he can withstand any attack up to C-tier damage, but he could increase the temperature in his body, forming a thorn shaped fire emitting from his body that could burn anything that it touches. The fire is capable to deal C-tier damage. [b]Description:[/b] Haku is able to produce a cone shaped heatwave from his mouth that would start from 1 meter and it will become larger up to 7 meters. The heatwave would travel up to 15 meters away and deal B-tier burning damage for everyone who got caught within the heatwave. [b]Description:[/b] Haku increases the temperature in his body before shooting 3 fireballs that are 1 meters in diameter that will travel up to 15 meters away, dealing B-Tier damage to the target in the form of burns. [b]Description:[/b] The user will pull her hand back to engage the base of the palm in two upwards thrusts, each strike inflicting C-Tier damage. [b]Description:[/b] Noir delivers a hand strike with extended knuckle, moving a finger forwards so the impact is made with knuckle, concentrating force into smaller area towards her enemy. This ability will deal B-tier damage. [b]Description:[/b] Noir delivers four punches to her enemy, dealing D-tier damage for each punch. [b]Requirements/Drawbacks:[/b] Noir must see the attack coming and have her weapon unsheathed. [b]Description:[/b] The user is able to redirect up to B-tier attack by swinging their weapon, cannot parry against intangible attacks. [b]Description:[/b] Noir swing her weapon towards her enemy in diagonal way, sending 4 quick slashes to deal B-tier damage in total. [b]Description:[/b] Noir swings her body around while holding the weapon, pointing it towards the enemy to create a sharp human hurricane and send 2 slashes that will deal a total of C-tier damage if it all hits. While performing this, Noir is capable to redirect any tangible attacks up to C-tier. [b]Description:[/b] Noir swings her weapon in vertical way towards the enemy, attempting to deal B-tier damage. Using a combination of Wind and Ice magic, the user creates a flurry of snow so thick that one can not see past five meters in front of them for 2 posts as they must remove snow from their eyes once the blizzard is gone. Using a combination of Lightning and Water magic, the user is able to conjure water that has lightning being conducted inside. Those struck by it would have one limb paralyzed for 2 posts and their movement speed reduced. [b]Appearance:[/b] A gray staff will small bits purple of electricity running through it. [*]By feeding the staff magoi magoi the wielder can cause a massive amount of wind to build up in a 5 meter radius around them leaving an eye of the storm at the center that is 1 meter wide. A tornado will form that will have bits of electricity running through it causing all those in it to receive B tier lightning damage across their body resulting in several 2nd degree burns. The wind will sweep anything that is below 500 pounds off their feet and thrown 10 meters back once the attack is done. 10 magoi to activate | 5 Magoi to sustain. 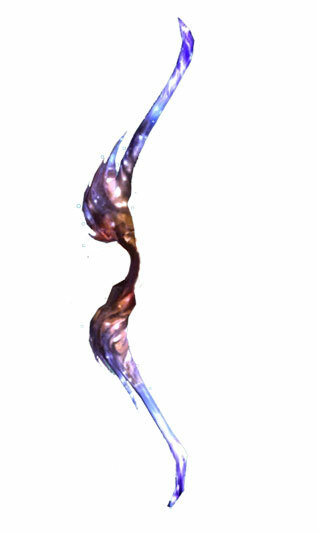 Appearance: A Bow roughly 240cm with a rather spectral appearance. The Bow is blue and purple with white spectral lights shining on the inside of it as the bow radiates with power. Bless My Arrow: By feeding magoi into the object the user causes four balls of light to spin around the arrow. When an arrow is let go it will convert into a 30m long beam of light that is 3m around dealing A-tier damage to whatever it hits, looking directly at it blinds temporarily for 1 post. Doesn't matter who looks at it. 10 magoi to cast | 5 magoi to sustain. [b]Appearance:[/b] A Bow roughly 240cm with a rather spectral appearance. The Bow is blue and purple with white spectral lights shining on the inside of it as the bow radiates with power. [*][i]Bless My Arrow:[/i] By feeding magoi into the object the user causes four balls of light to spin around the arrow. When an arrow is let go it will convert into a 30m long beam of light that is 3m around dealing A-tier damage to whatever it hits, looking directly at it blinds temporarily for 1 post. Doesn't matter who looks at it. 10 magoi to cast | 5 magoi to sustain. Appearance: A black colored double sword made from Tamagahane, two skulls made from silver are decorating each sides of the handle. The total length of this weapon is 70cm. 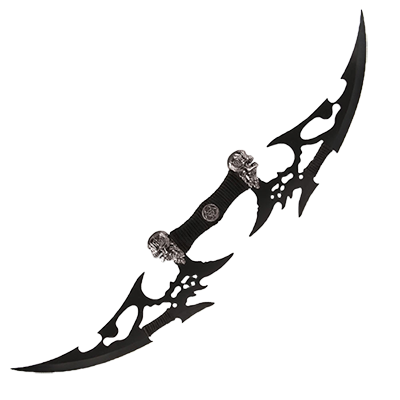 [b]Appearance:[/b] A black colored double sword made from Tamagahane, two skulls made from silver are decorating each sides of the handle. The total length of this weapon is 70cm. [b]Appearance:[/b] A shield 1m in height and and .25m wide. It’s made of wood with metal trimming and a crystal star across the front of the object. The bright red crystal emanates with power. A powerful object protects its user with great force. 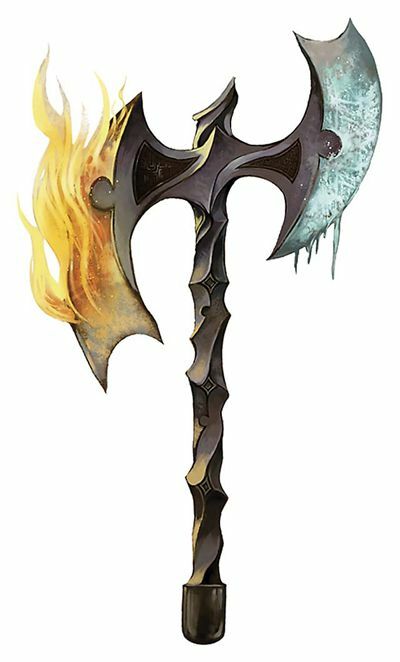 Appearance: The frost and fire axe is a small black hand axe which is 30cm long, with each blade being around 13com long, with the back blade being slightly higher than the front. The weapon has a distorted and bent look to it as if it had been curled and twisted in the forging process, being reheated and cooled constantly. A magic circle glows between the two blade when in function. Clear the Way- The user pays 10 magoi | 5 to sustain and while swinging the axe may overload it with Asura magic causing an explosive wave 1m wide and only 6cm thick. The wave can go 20m exploding out 10m from impact point in all directions doing A-tier damage. Destructive Empowerment- The user pays 10 magoi, 5 magoi to sustain, this causes the front blade to imbue with fire and the back side to imbue with ice. It converts the damage done by the axe to elemental and adds D-tier damage onto the weapons from the Asura magic passive in place of the construct bleed damage. 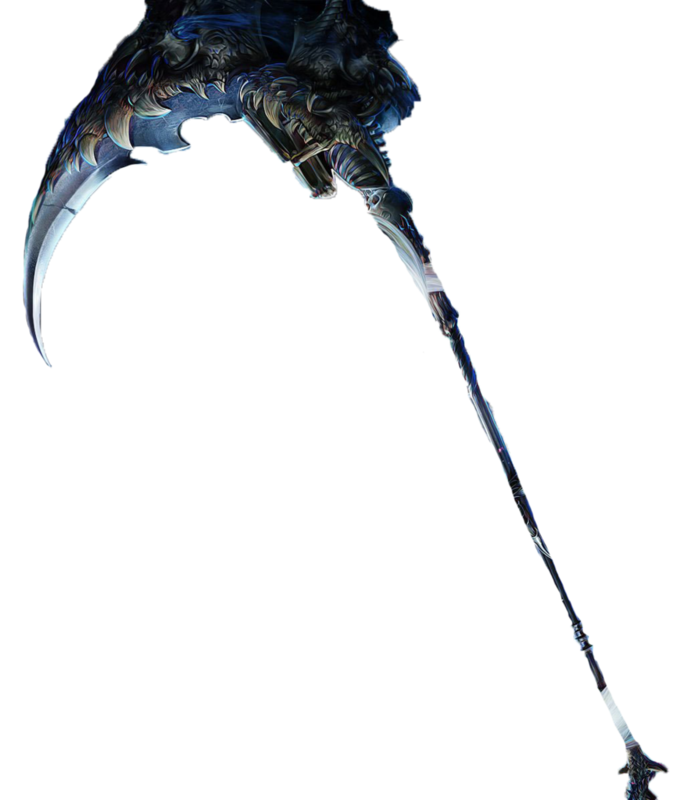 [b]Appearance:[/b] The frost and fire axe is a small black hand axe which is 30cm long, with each blade being around 13com long, with the back blade being slightly higher than the front. The weapon has a distorted and bent look to it as if it had been curled and twisted in the forging process, being reheated and cooled constantly. A magic circle glows between the two blade when in function. [*][b]Clear the Way[/b]- The user pays 10 magoi | 5 to sustain and while swinging the axe may overload it with Asura magic causing an explosive wave 1m wide and only 6cm thick. The wave can go 20m exploding out 10m from impact point in all directions doing A-tier damage. [*][b]Destructive Empowerment[/b]- The user pays 10 magoi, 5 magoi to sustain, this causes the front blade to imbue with fire and the back side to imbue with ice. It converts the damage done by the axe to elemental and adds D-tier damage onto the weapons from the Asura magic passive in place of the construct bleed damage. Appearance: Carved from the fang of a terrifying creature and well polished, this simple bangle looks like it is made of metal at first glance. Inscribed into the design is a magic circle which shines with a dark orange light once activated. Longing Fear - Feeding magoi into the bangle causes it to emit up to 8 D-tier beams of light orange black light which can turn and twist their trajectories outwards in a wild spiky movement. The beams seek out nearby targets up to 10m away and brand them with a symbol resembling the designs on the bangle. The brands are like black tattoos that can't be scrubbed off unless magoi manipulation is used and they can be spread across targets or focused on less. Those marked with the symbols will experience physical manifestations of their own nightmares emerge for each brand received. These nightmares are of the target's own creation and possess D-tier durability. The nightmares do not attack or deal damage, but will cling onto the target and drag them down with D-tier strength stacking up to A-tier strength if focused. The symbols will continue to spawn a new nightmare each turn, fading after three turns. 10 magoi to activate | 5 magoi to sustain. The book automatically records information on the abilities of magical objects that the user has come into possession of. The user must hold the magic tool for 1 complete post before the tome records information on it. The tome can be used to decipher, learn, and teach the Torran Language. Requires 1000 words to learn the language and an additional 1000 words for each person you wish to teach the language to. This item does not take up any of your item/magic tool slots. [list][*]The book automatically records information on the abilities of magical objects that the user has come into possession of. The user must hold the magic tool for 1 complete post before the tome records information on it. [*]The tome can be used to decipher, learn, and teach the Torran Language. Requires 1000 words to learn the language and an additional 1000 words for each person you wish to teach the language to. [*]This item does not take up any of your item/magic tool slots. [b]Appearance: [/b]A 5cm long, 2cm tall, silver key elegantly crafted with a sapphire embedded into the center. The chain it hangs from is fifty centimeters long. The magical circle is engraved into the sapphire. [*][b]Lock Flow[/b] - Applying magoi to the key causes the ice to turn to water, it will maintain its key shape however. Inserting the key into any lock will cause it to find the proper shape, take that form, then harden into ice once more. This effectively makes this a skeleton key that can open any lock. The only exceptions are locks smaller than the key's normal dimensions. 10 magoi to activate | 5 magoi to sustain. [b]Appearance:[/b] The delicate silver bracelet is approximately 15 cm around and contains a blue gem. The magic circle for the item can be found hidden on the inside of the silver surface. [*][b]Heal All[/b] – Feeding magoi into the item causes a pulse of purple light to spread from the user in a 3m sphere. Anyone inside the sphere experiences B-tier healing. 10 magoi to activate | 5 magoi to sustain. 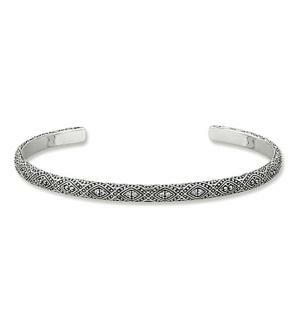 Appearance: This metal 'bracelet' has a 10.1 cm crystal clasped on the inside. There is a magic circle located on the surface of the bracelet, the metal clasp, that holds the crystal. The crystal itself holds a ruby color to it. There is a metal chain around it that is 20 cm in length. Crystal Dome - Feeding magoi into the crystal causes a crimson dome to rise from the ground around the user. The dome is 3m high and 3m wide possessing the durability of a B-tier item. This dome is a defensive barrier to keep the user safe, however the user can't see outside of it nor can others see in. Instead, the surface of the crystal is highly reflective. 10 magoi to activate | 5 magoi to sustain. [b]Appearance:[/b] This metal 'bracelet' has a 10.1 cm crystal clasped on the inside. There is a magic circle located on the surface of the bracelet, the metal clasp, that holds the crystal. The crystal itself holds a ruby color to it. There is a metal chain around it that is 20 cm in length. [*][b]Crystal Dome[/b] - Feeding magoi into the crystal causes a crimson dome to rise from the ground around the user. The dome is 3m high and 3m wide possessing the durability of a B-tier item. This dome is a defensive barrier to keep the user safe, however the user can't see outside of it nor can others see in. Instead, the surface of the crystal is highly reflective. 10 magoi to activate | 5 magoi to sustain. [b]Appearance:[/b] A silver bracelet engraved with various animals around the outside and a small magical circle inscribed on the inside. [*][b]Beast Speak[/b] - Feeding magoi to the bracelet will allow the user to understand the noises of an animal within 5m of them as if it were human speech. However, the beasts intelligence will determine how complete/complex the sentences are. The user's own words will also be translated for the animal in question, however they will not understand purely human concepts or words such as "boat", "weapon", or "fortress". 10 Magoi to activate | 5 Magoi to sustain. Appearance: This 20 cm pendant hangs from a golden chain and is in the image of a cat with glowing green eyes. The magic circle is located on the back. Feeding magoi into the tool causes purple light to shroud the users hands and mouth. In a short time, the flesh is altered temporarily to mimic a cat. The hands become clawed and the teeth become fangs. The new "weapons" are capable of dealing B-tier damage. 10 Magoi to activate | 5 Magoi to sustain. [b]Appearance:[/b] This 20 cm pendant hangs from a golden chain and is in the image of a cat with glowing green eyes. The magic circle is located on the back. [*]Feeding magoi into the tool causes purple light to shroud the users hands and mouth. In a short time, the flesh is altered temporarily to mimic a cat. The hands become clawed and the teeth become fangs. The new "weapons" are capable of dealing B-tier damage. 10 Magoi to activate | 5 Magoi to sustain. 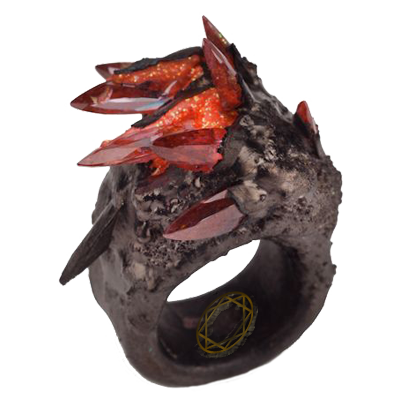 [b]Appearance:[/b] The ring is made of obsidian and the gems that adorn it resemble the lava that once flowed inside a volcano. The magic circle is embedded inside the band. [*][b]Circle of Lava -[/b]The magic tool is activated whenever the user feeds magoi into it. The user is then able to create a lava pool 2m away from all sides of the user and 3m thick which encircles the user. Anything that touches the pool of lava is set on fire for 2 posts, dealing D-Tier burns. 10 Magoi to activate | 5 Magoi to sustain. A page unlocks the use of either 2 spells of a single magic element for Intelligence users, or the use of a magic element of their choice for a single combination magic spell. These spells each take up an ability slot. The spell(s) must be approved for training before purchase, and must be listed as the spell that the page(s) would be used for during the approval of the purchase. Limit of 2 pages per person. *Can only be purchased 2 times per character. Cannot be sold or traded. 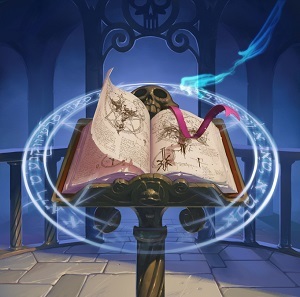 [*]A page unlocks the use of either 2 spells of a single magic element for Intelligence users, or the use of a magic element of their choice for a single combination magic spell. [*]These spells each take up an ability slot. 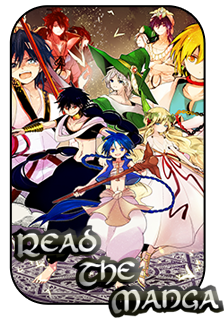 [*]The spell(s) must be approved for training before purchase, and must be listed as the spell that the page(s) would be used for during the approval of the purchase. [*]Limit of 2 pages per person. 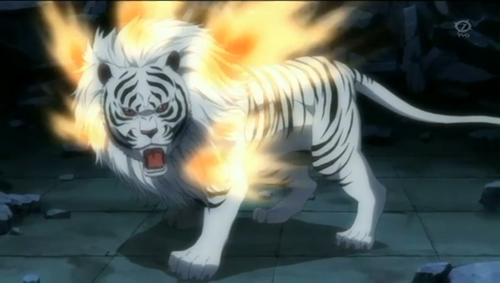 [b]Appearance:[/b] Haku is a ruby-eyed Liger who has tiger-like black strips and white colored mane that is similar like a lion's. He is 3 meter long and 2 meter tall while standing on all fours. [b]Trait Requirement:[/b] Needs to be this specific kind of beast. [b]Trait Description:[/b] Haku has an extra organ within its body which gives him a control over its body temperature, allowing him to produce heat/fire from his entire body parts. [b]Trait Effect:[/b] Haku's fur can protect against up to B-tier physical damage. It will follow item durability rules and once the steel fur "armor" is broken, Haku takes damage normally. (Defensive power (B-tier shield) | 300) Unfortunately, this makes his body act like a lightning rod making lightning based attacks within 1m of him attract dealing direct damage into his body through the steel fur. 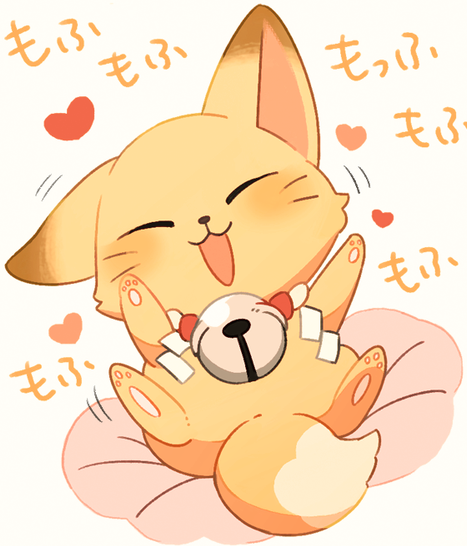 [b]Appearance:[/b] Kuzunoha is a little fox that only has 20cm long and 30 cm tall body with a fluffy orange fur and white fur on the tip of her tail. She has a white and red fabric braided together around her neck with a 5cm diameter bell hanging there. [b]Trait Description:[/b] Kuzunoha can control her blood pressure to increase the speed and power of her muscles. This will make her attacks deal damage one tier higher than herself. [b]Trait Description:[/b] Kuzunoha possesses a natural healing effect contained in her saliva, it could heal a small bruise and cuts easily. 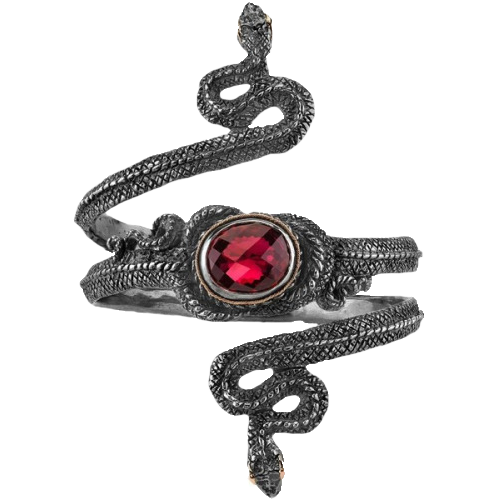 [b]Appearance:[/b] Dantalion Metal Vessel is a metal snake arm cuff bracelet with Garnet orb embedded on the middle. The arm cuff is 15cm long from the upper head to the lower head, 10cm across and 5mm thick. Appearance: The overall length of the polearm is 190cm, where the curved blade is 95cm wide. The shaft will be made from bones, and various types of skulls, bones and fangs will decorate the curved blade. The weapon itself will emit vapors from it. Dantalion's Kiss: The weapon of this djinn equip emits a hazy aura similar to that a of a mirage. When it strikes any part of the opponent's body the damage will spread across that limb applying that damage. Allowing for it to spread the B-tier damage in weapon mode and A-tier damage in equip mode. These hits also apply the passive of dehydration magic for each strike. [b]Appearance:[/b] The overall length of the polearm is 190cm, where the curved blade is 95cm wide. The shaft will be made from bones, and various types of skulls, bones and fangs will decorate the curved blade. The weapon itself will emit vapors from it. Chant: O’ Djinn of Drought and Dehydration, heed my will. Bestow upon me your unyielding power to vaporize the resolution of my enemies. Desiccate, Dantalion! Appearance: After activating her djinn equip, Noir's hair become longer and is white colored. She will be equipped by black colored leather attire and also a collar which has black mantle hanging from it. Her arms will be having long gloves covering them, while her hands has sharp nails decoration that makes her looks like a sand cat alongside with her cat-ear shaped hair decoration. Her pants will be decorated with skull shaped belt which is emitting vapor. Her knee high boots will be having a horned skull decorating each sides that will emit vapor as well. 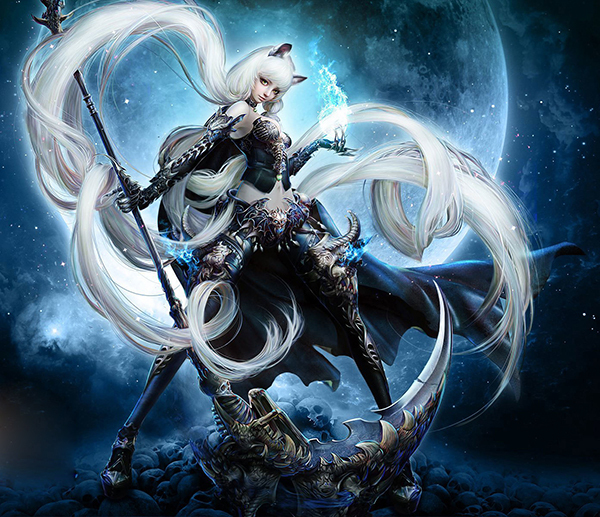 She will hold a 190cm scythe that has various bones and skulls decorating it. [b]Chant:[/b] O’ Djinn of Drought and Dehydration, heed my will. Bestow upon me your unyielding power to vaporize the resolution of my enemies. Desiccate, Dantalion! [b]Appearance:[/b] After activating her djinn equip, Noir's hair become longer and is white colored. She will be equipped by black colored leather attire and also a collar which has black mantle hanging from it. Her arms will be having long gloves covering them, while her hands has sharp nails decoration that makes her looks like a sand cat alongside with her cat-ear shaped hair decoration. Her pants will be decorated with skull shaped belt which is emitting vapor. Her knee high boots will be having a horned skull decorating each sides that will emit vapor as well. She will hold a 190cm scythe that has various bones and skulls decorating it. [*][b]Dantalion's Kiss:[/b] The weapon of this djinn equip emits a hazy aura similar to that a of a mirage. When it strikes any part of the opponent's body the damage will spread across that limb applying that damage. Allowing for it to spread the B-tier damage in weapon mode and A-tier damage in equip mode. These hits also apply the passive of dehydration magic for each strike. Assassins Contract~ This is a free trait that Soushui gets access to as a plot NPC. By roleplaying a thread of 1000 words with their ally they can put out a hit allowing the NPC to attack or invade a players open thread in their masters stead. Graceful Movement~ The user can effortlessly move through the air, leaping in great bounds higher than a house. These leaping movements can be done at speeds of equivalent to a C-tier fanalis. This is a B-tier trait. Master Precision~ The user has trained their eyes and such in order to look indepthly at vitals, weak points locks and other things. They have an eye for detail better than most living things. This is a B-tier trait. Tandem Magic~ This NPC can register one ability with their user, it takes up one of their slots but allows for the use of magics or weapons presented in the characters info. This is an A-tier trait. Illusion of the lost~ Shousui creates 4 butterflies of light which she sends outwards towards her targets. If it touches them it creates illusions altering their sense of time, feeling as if everything had slowed to a near stop. These illusions last for 4 posts. Now You See me~ Shosui Creates an illusion that looks like her, it can travel 20m within her and lasts for three posts. Now You Don’t~Shousui makes herself invisible to the human eye, blending in completely with her background for three posts. Snaking Stab~ Shosui drives her knife into her target dealing A-tier damage. She can choose to withdraw her attack as a feint choosing to switch her blades angel and quickly attack from it’s new position changing the angle of attack. [b]Description:[/b] Shoushui is a an Assassin who used to work for the royal family. She specializes in the use of water light and life magic. She carries around a knife and her wand which she uses for combat. [b]Weapons:[/b] She carries a small steel wand 3cm thick and 36cm long, it’s durability is A-tier. She also carries a standard knife, 45cm long and 8cm wide, the knife is capable of doing A-tier damage. [b]Traits:[/b] [list][*] [i]Assassins Contract~[/i] This is a free trait that Soushui gets access to as a plot NPC. By roleplaying a thread of 1000 words with their ally they can put out a hit allowing the NPC to attack or invade a players open thread in their masters stead. [*] [i]Graceful Movement~[/i] The user can effortlessly move through the air, leaping in great bounds higher than a house. These leaping movements can be done at speeds of equivalent to a C-tier fanalis. This is a B-tier trait. [*] [i] Master Precision~[/i] The user has trained their eyes and such in order to look indepthly at vitals, weak points locks and other things. They have an eye for detail better than most living things. This is a B-tier trait. [*] [i]Tandem Magic~[/i] This NPC can register one ability with their user, it takes up one of their slots but allows for the use of magics or weapons presented in the characters info. This is an A-tier trait. [*][i]Illusion of the lost~[/i] Shousui creates 4 butterflies of light which she sends outwards towards her targets. If it touches them it creates illusions altering their sense of time, feeling as if everything had slowed to a near stop. These illusions last for 4 posts. [*][i]Now You See me~[/i] Shosui Creates an illusion that looks like her, it can travel 20m within her and lasts for three posts. [*][i]Now You Don’t~[/i]Shousui makes herself invisible to the human eye, blending in completely with her background for three posts. [*][i]Snaking Stab~[/i] Shosui drives her knife into her target dealing A-tier damage. She can choose to withdraw her attack as a feint choosing to switch her blades angel and quickly attack from it’s new position changing the angle of attack. 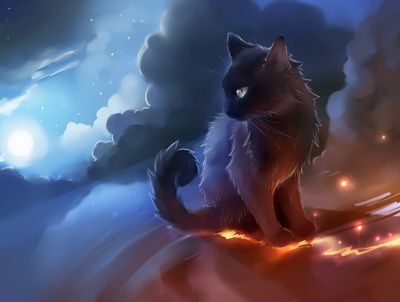 Appearance: Thyme is kitten black as night itself with fluffy medium sized fur. It has soft grey eyes that look like they stare at someone with nothing but love and respect. He is also capable of speech. [b]Trait Requirement:[/b] Must be Human or a Magician with a secondary combat class. [b]Trait Description:[/b] Through extensive training, the character has exceeded the traditional limits of strength for their race. [b]Trait Effect:[/b]The character can now bend steel and shatter iron with their bare hands and deal A-tier damage with their physical strength alone. This level is equal to a B-tier fanalis. [b]Trait Description:[/b] Through excessive training, the character has reached a level of speed that exceeds the average human. [b]Trait Effect:[/b]The character can now move like a blur across short distances and move fast enough to run along walls. They can maintain this speed for hours. At this level they are equal to a B-tier fanalis in speed.